Felice de Robertis has been working in big software embedded projects for more than 20 years, with different approaches and different roles in Marconi and Ericsson: software developer, team leader, system integrator, software project manager, technical coordinator. “In 2009 I discovered the Agile World and after my first natural reaction to changes, I soon realized Agile Methodologies were answering to my question I´d had unanswered for more than 10 years: there should be a better way of managing with software!!!”. Since then, Felice was PO of relatively small products in Ericsson (two teams working for a couple of years), for Institutional Telecomms customers. Then, he was in the Ericsson Transition Team to help the Company Management to implement Scrum on a very big project, involving 25 Teams in Italy plus 25 in China, the most of them developing SW, but 10 of them designing HW. Felice coached a lot of these new Scrum Teams, and in particular he helped the HW Teams to find out and adapt their own pseudo-scrum framework, with good results; he also introduced the Kanban framework in the company, that was adopted by Maintenance or System Integration Teams, solving most of their problems with planning. 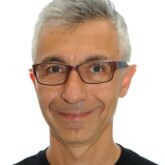 Felice also took part for two years at the Italian Agile Coach Camp, also had a speech at the Mini-Italian Agile Day in Genoa in 2014, and had some Agile workshop at the Talent Garden in Genoa and in Pisa. In 2014 Felice left Ericsson to start a new experience in TomTom in Berlin. In TomTom Felice is now Agile Coach and SM for 2 Teams, working again in a big project involving more than 20 SW Teams, with Automotive big customers. Differently from Ericsson, that Scaled Agile (in Italy) without following any framework (and with doubts in the results), in TomTom they are using SAFe. “SAFe is a good framework to start with, certainly useful when transforming a big organization working on a big project. It´s is still a starting point, anyway, and it needs to have mechanisms to improve and change the organization, that SAFe dosn´t foresee. And by using SAFe there are still a lot of problems that needs to be addressed”. What do I mean with Extremely Scaled Agile? I mean Agile applied to “extreme” situations, when transforming a very big company, designing very big projects and dealing with big institutional customers. Which are the problems that Product Owners (but not only them) will deal with, when scaled in such an Agile organization? And what will they actually “own”? We will see and discuss of cases taken from true examples, when using “formal” Scaled Agile Frameworks (like SAFe) or when trying to implement and improve your owned Scaled Agile Organization. When the Management Board and the Product Managers are still present, still managing and controlling. Where telecoms or automotive customers are asking the company for some specific “process” certification (that probably doesn´t fit in an Agile environment). Where splitting a big project into many small teams, maybe with a big amount of legacy code, often will create really too many dependencies among teams. Where Teams and Scrum Masters won´t be able to remove easily big architectural impediments, involving the whole project. Where sometimes the Product Owners will feel they can´t take decisions on priorities, they can´t speak to and have feedback from customers, they can´t have a vision that goes behind next few sprints. How can someone who truly believes in Agility survive to that?